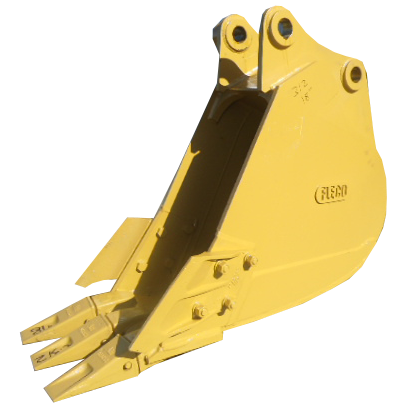 Fleco Backhoe Buckets are built from AR400 steel. Thick wear straps add to the durability of the bucket. Buckets are available in heavy-duty, severe-duty, and ditch cleaning configurations.